The most important, effective, and rapid action for the reduction of the health risks caused by UV exposure is to provide people, across the globe, with accurate information. Possession of adequate knowledge of the cause and effect of sunburn, tanning methodology, and the best known practices for sun exposure, is the only way to reduce UV radiation induced health risks. Thus, over the last 20 years, many international, national, governmental, and private institutions have published numerous articles, and produced web-portals and web-sites to explain, inform, and display the most effective preventative practices and solutions. The knowledge of ozone depletion over Antarctica, the ozone hole, and the risks of sun exposure, is not only confined to specialists, but is now diffused worldwide among the general population, even if to varying degrees. The World Health Organization (WHO), United Nations Environment Programme (UNEP), World Meteorological Organization (WMO), and International Commission on Non-ionizing Radiation Protection (ICNIRP) are the most influential international institutions in this field of research. A visit to their web-portal is an educational experience. Other national portals are also available as additional sources of valuable information. Another very informative source is the WHO INTERSUN Programme (WHO, 2008b), created as a result of Agenda 21 actions (UN Conference on Environment and Development, Rio de Janeiro, Brazil, June 3 -14, 1992). Agenda 21 is a comprehensive plan of action to be taken globally, nationally, and locally by various organizations within the United Nations system, governments, and major groups involved in every area of human impacts on the environment. In addition, there are numerous publications available as relevant sources of information (e.g., Global Solar UV Index: A Practical Guide of WHO, 2002). All of these instruments of information are based on the Global Solar UV Index (GSUVI), the official tool used to evaluate the risks of sun exposure. The purpose of the GSUVI is to provide uniform information to the public about daily UV exposure levels and protective measures that should be taken, with various index values. 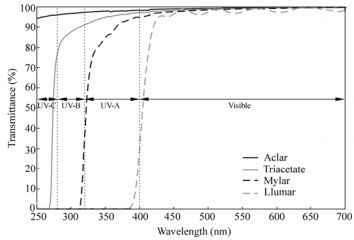 Ultraviolet index values can range from zero upward. Summertime UV-I values can range up to 20 in many countries located close to the equator. Summer maxima in Europe are generally not more than 8, but can be higher, especially at beach resorts. While not yet standardized worldwide, the GSUVI values can generally be described as low (1 and 2), moderate (3 and 4), high (5 and 6), very high (7 and 8), and extreme (greater than 9). Other UV indices also exist; therefore, it is necessary to be aware of the correct usage of the information obtained from them. In particular, the WHO warns that there is a real danger for public confusion over the use of multiple UV indices, together with a universal GUVI recommended by international organizations since 1995 (WHO, 1998). Some of these multiple indices are promoted by sunscreen or cosmetic manufacturers for commercial purposes and used by local authorities who are unaware of the standardized and internationally accepted GSUVI. The GSUVI estimates the maximum skin damaging UV measured over a period of 10 to 30 minutes at solar noon on a given day. The higher the UV-I, the greater the exposure to skin and eye damaging UV, and the less time it takes for this damage to occur (WHO, 1998). The WHO emphasizes that a real danger currently exists that the use of standardized GSUVI in conjunction with many other UV indices currently in existence could lead to public confusion regarding critical messages on health.